Urban Jungle refers to a lush oasis located amongst concrete and buildings, creating an escape from big city life by bringing the beauty of a green environment into your home, in other interiors, and in public spaces. We believe surrounding yourself with plants is not only stylish and aesthetically pleasing, but seeing green helps us feel more relaxed and calm, which in turn benefits our everyday mood and enhances our life. Urban Jungle is a full-service garden center that specializes in vertical landscaping. Our mission is to bring nature to the urban environment by transforming the blank canvas of brick and mortar fronts. By adding green, sustainable features to vertical surfaces, Urban Jungle is able to create gardens with a dynamic visual impact. 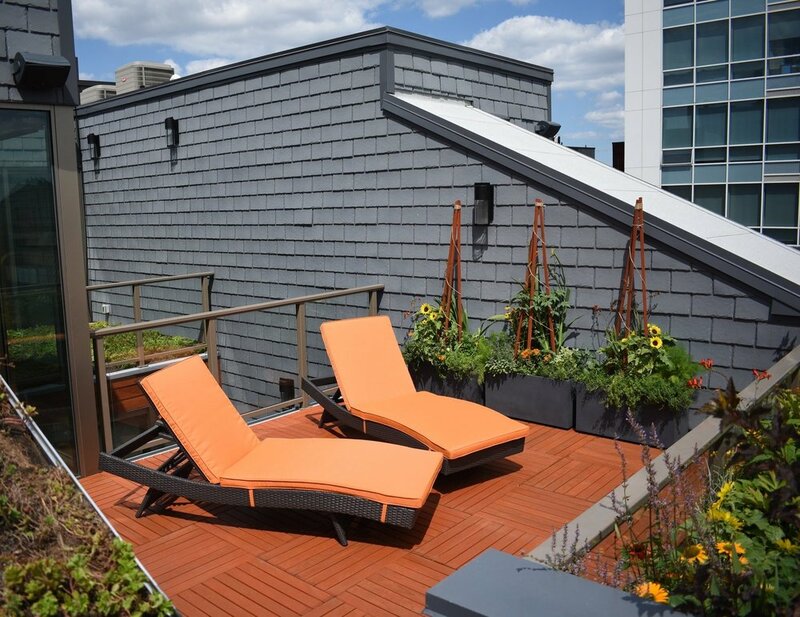 We are Philadelphia’s premier urban garden specialist for design, installation, and maintenance of indoor and outdoor large-scale residential and commercial projects. To speak with a project manager, designer or estimator, please call us at 215-952-6888 or visit urbanjungledesigns.com for more information.